Many of us understand the importance of adding fruits and vegetables to our diet for our health. Not all fruits and vegetables are of the same quality though. 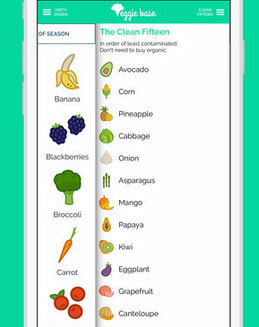 Veggie Base is one of many apps you can rely on to find the best time to buy organic fruits and veggies. The app lets you know what items are in season and teaches you a thing or two about what you eat. Veggie Base has an elegant user interface. It covers over 80 fruits and veggies. You are provided with detailed information on nutrition as well as tips on how to pick and store your produce. The app shows what is in season and out of season. It also has a list of least contaminated produce. 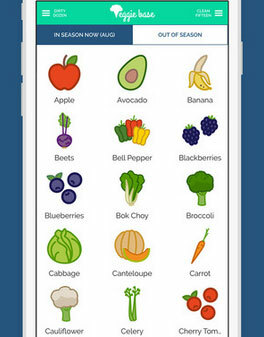 Veggie Base teaches you more about fruits and vegetables and helps you pick the right ones for your diet. The app is available for under $1.